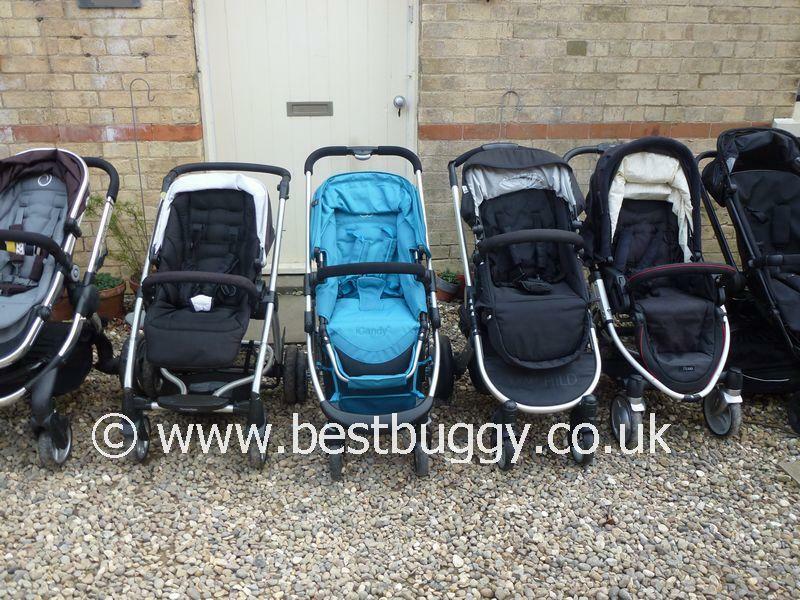 This is a set of ten single pushchairs, all with reversible seats. This photoset was done to have a closer look at some of the main brand names on the market who have single pushchairs where the seat can both parent and forward face. 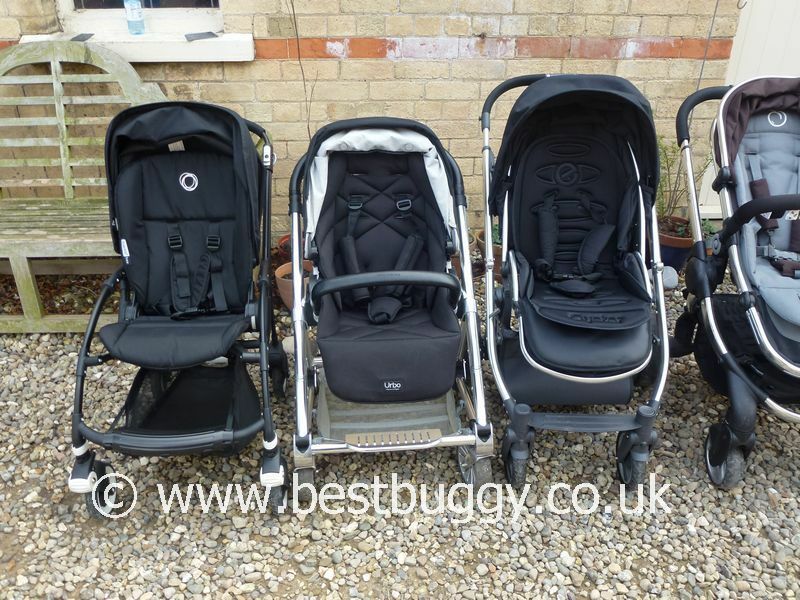 There is a wide variation in price between these pushchairs which we are aware of, but these photos were taken to show size proportion, fold size, the seat units, handle heights, hood heights etc. 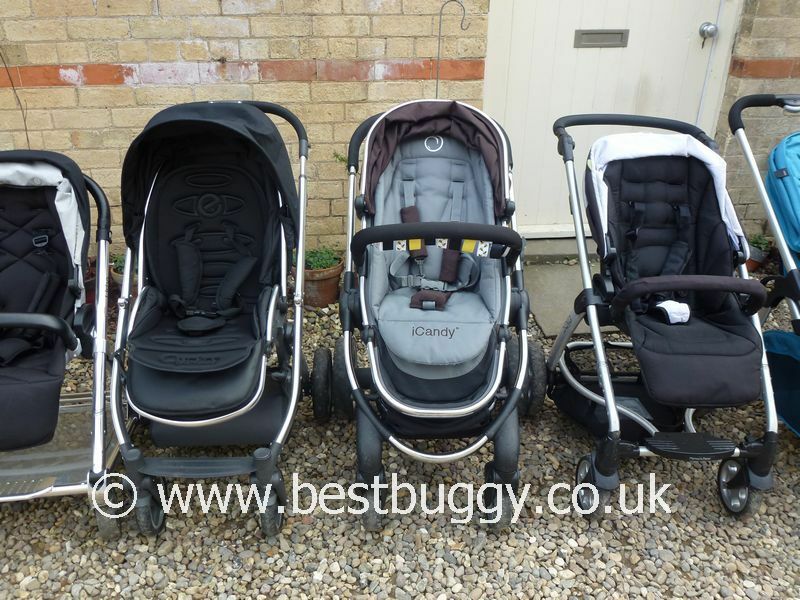 which are often factors which influence a decision to purchase a pushchair. 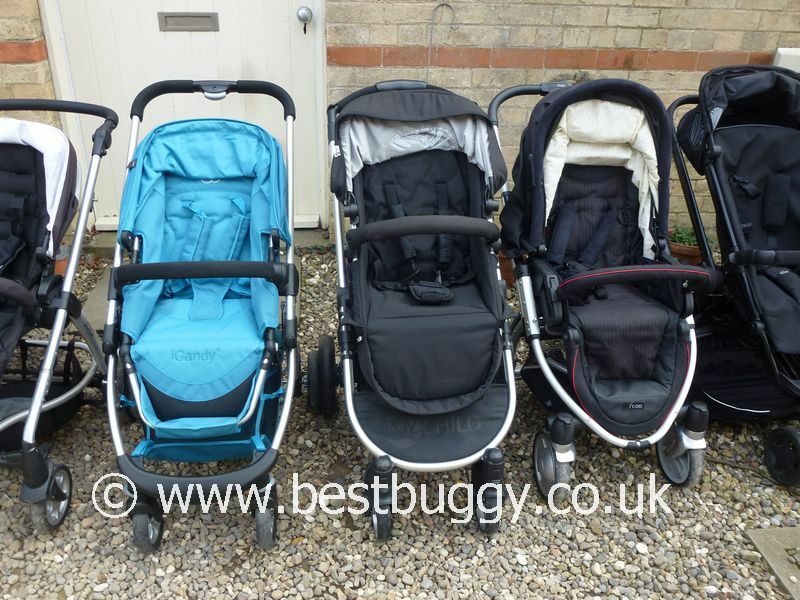 It is possible even to visually see how wide these pushchairs are by looking at the gaps between them, or how long they are at the front compared to their neighbouring pushchairs (all wheels are lined up at the rear). In the photos with the hoods up, all hoods are fully extended, and also on the highest possible settings. All seats are upright and all footrests are fully extended. In the outward facing set of photos, all the handlebars are set to the lowest possible setting. In the parent facing set of photos, all the handlebars are set to the highest possible setting. 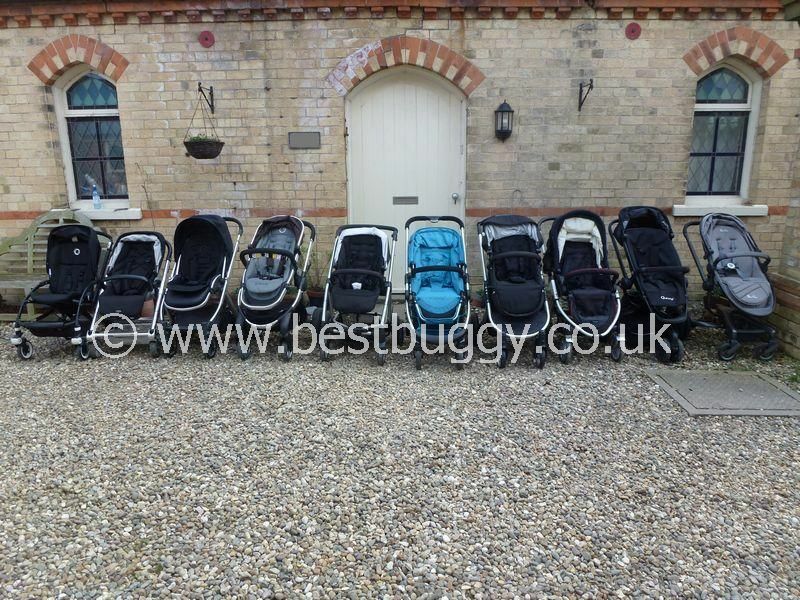 Detailed information and reviews on all these pushchairs can be found under the “Single Pushchairs” section. 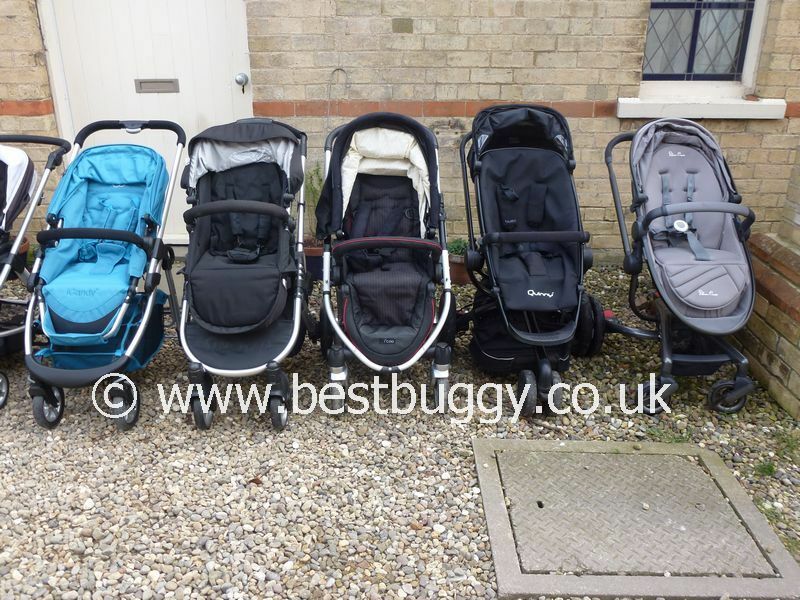 Side by side comparisons of each pushchair with another will be found under the “Side by Side Comparisons” section. 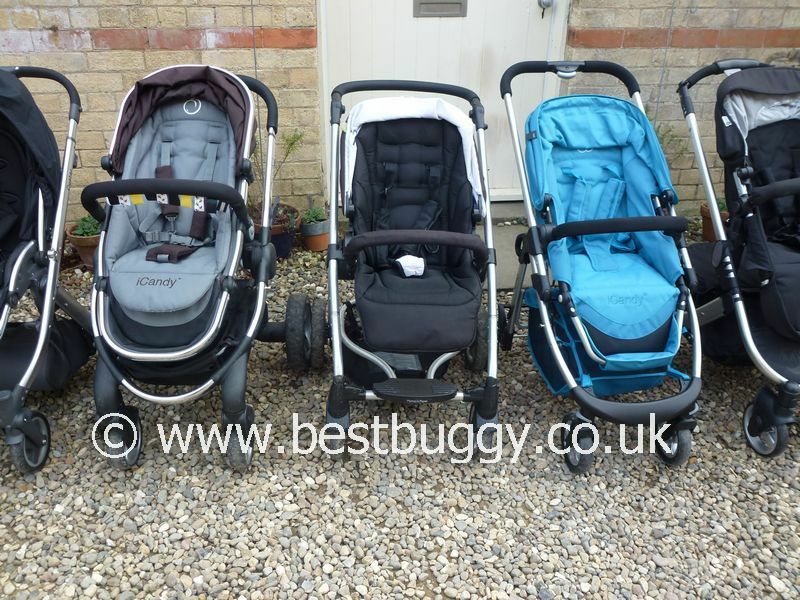 We recommend you find out more about each pushchair because these photos are a very “on the surface” glance at them.